There’s a video I’d like you to watch. It’s not terribly long at close to seventeen minutes, and once you get the general tenor of it (no pun intended), don’t feel as though you have to watch the whole thing. Just imagine it: you’re walking to your apartment building or along a quiet, snowy trail, and then from nowhere, this booming horn sound hits you. Not just for just a few seconds, but a few minutes. Bizarre, isn’t it? Even creepy. I personally don’t believe that it’s a prophetic sign of any variety, but it’s definitely an odd phenomenon. The video fascinated me, and when I moved on from Poisoned Eden to write novels, I incorporated the “strange trumpet sounds” phenomenon into The Blessed Man and the Witch. This wasn’t an idea shoehorned in: the Book of Revelation describes seven angels winding trumpets at the end of the world. I just took the idea and altered it. I turned Gabriel’s Trumpet into an actual person: the Herald of Armageddon. Without this video, there probably would have been no Blessed Man and the Witch (or BMW, as writer R. M. Huffman has referred to it). At the very least, it would have been in a much different form. So thank you, Bob: you gave me the acorn from which this trilogy tree is growing. I just got finished a reread of Dune. The ecology, philosophical and religious aspects of the novel, of the universe he built, are incredible. I’m looking forward to reading the sequels, of which there are many. Even if you didn’t know a lot about the author, even a casual reading of Frank Herbert’s most famous novel would tell you that he did an incredible amount of research on life cycles, planetary ecology, Middle Eastern culture, the nature of aristocracy, and how science and religion can clash. Herbert was a brilliant man. But he didn’t know a single thing about knife fighting, and it shows. Part of my problem with how personal combat was portrayed in the novel was the strange hierarchy of fighters in the Dune universe. To briefly sketch out the background, personal shield technology had been developed so that most fighting men had force fields around them that they could turn on and off. A fast-moving object like a bullet would be deflected by a shield, but a slightly slower object, like a hand holding a knife, could slip through. So for personal combat, you had to go fast on defense and slow on attack. Also, if someone shot you with a laser weapon (called a lasgun) while your shield was activated, both you and the person holding the laser would be obliterated in a massive nuclear explosion, known as the Holtzman effect. In essence, Herbert wanted to eliminate guns of all kinds in his science fiction universe. The best individual fighters in the known universe were both attached to the main character Paul: Duncan Idaho, a “swordmaster,” and Gurney Halleck, a former prisoner of Paul’s enemies. They developed a form of fighting that was so good, it rivaled and maybe even beat the most feared armies known. What didn’t work in the novel was that all of this had to be told to the reader, and not shown. Herbert went into great detail about how the gigantic sandworms of Dune created the spice melange, but when it came to fighting, he fell back on what he knew, which was fencing. It was unconvincing. Fencing isn’t anything like fighting with knives. It’s a long-range form of fighting (or, well, sport). A knife fight is, by its very nature, an extreme close-quarters encounter. Blades don’t touch in a knife fight. You can’t elevate it into a fencing duel; it’s too quick. The winner in a knife fight is almost always going to be the one with more will, more speed, more strength, and more reach. He’ll get that all-important first hit in. Let’s also keep in mind that the idea of a knife duel is an entirely constructed fantasy, not unlike West Side Story. The vast, vast majority of us don’t get into knife duels. Someone looking to cut you isn’t going to give you a chance to defend yourself: he’ll wait until your back is turned and shank you. There aren’t a lot of places that teach knife dueling. Filipino martial artists do flow drills that approximate it like sumbrada and hubud-lubud, but they’re intended to ingrain fighting reflexes, not draw out a fight into a duel. So the lack of resources available to Herbert isn’t surprising. Nevertheless, the fight scenes lacked authenticity. An awesome book despite that. In March of 2009, I traveled to Sedona, Arizona to shoot an instructional video series on survival skills. The shoot took the better part of a week, and it rained on and off the entire time we were there. During the shoot, we learned flint knapping, improvised weapon construction, do-it-yourself smithing, and plenty of other primitive skills. The best part of the shoot for me was the smithing, something in which I’d been interested since childhood, and the video we produced on that topic was called The Poor Man’s Forge. 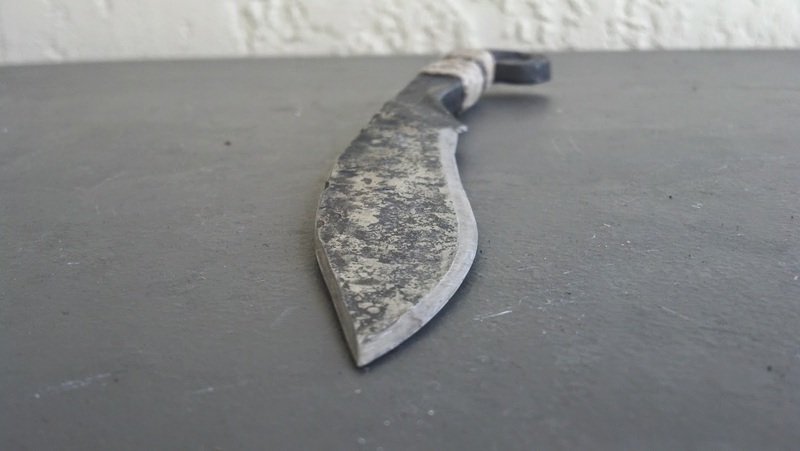 In it, the author took a piece of rebar and forged it into a knife using a forge he’d constructed out of recycled materials. As you can see, the knife is ugly. It’s hideous. 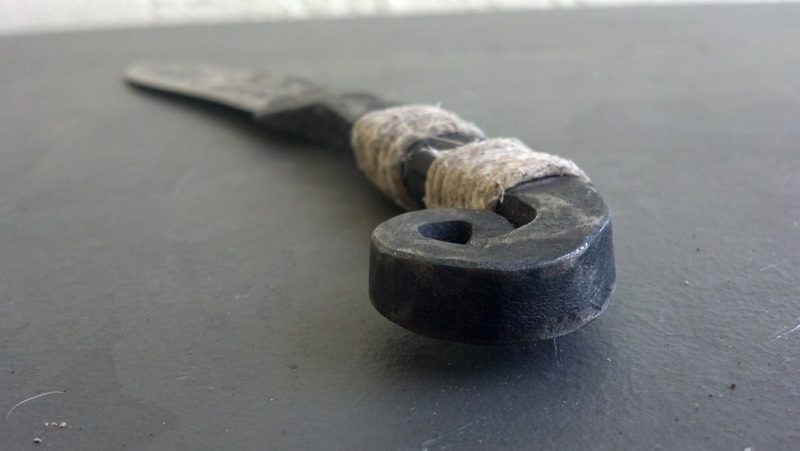 It’s got hammer marks, a small notch from testing the edge on a penny, and one of the sections of handle rope is gone. I love it. It’s what it’s supposed to be: functional, brutal, and effective. It started out as a length of rebar, which is made of all kinds of scrap steel melted down and made into lengths of bar or wire. It used to hold up a building. Now it’s a different sort of tool. Note the strange sunset of colors from the middle of the blade to the back. This is from the heat-treating process that produces a hard edge and a soft back, which is what you want. 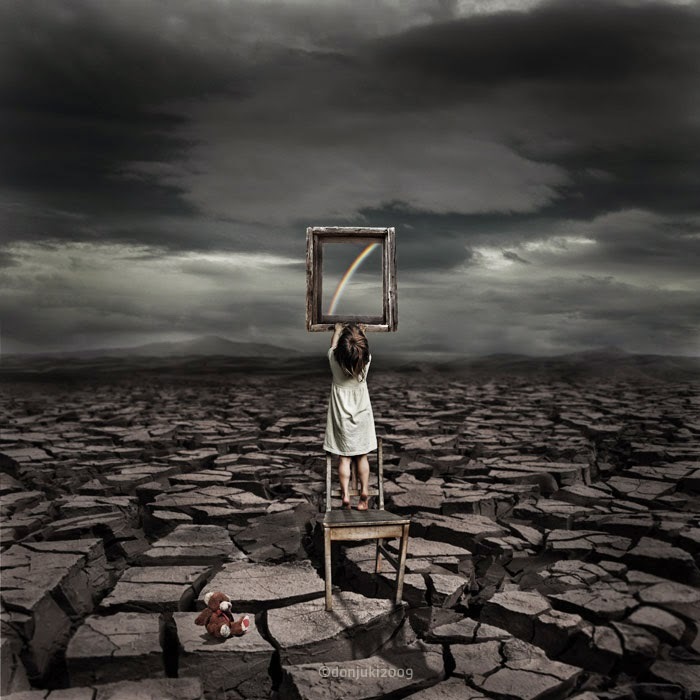 You want it to be able to flex a little if it has to, but maintain the hardness of the edge. The smith who made it, a true artisan who has produced some really beautiful pieces, deliberately left the hammer marks in to show that it isn’t supposed to look good. It’s supposed to do its job, which is to scale a fish, skin a deer, carve some wood, or whatever else you need to do with it. This is the back of the handle. In Filipino martial arts, this is called the punyo. 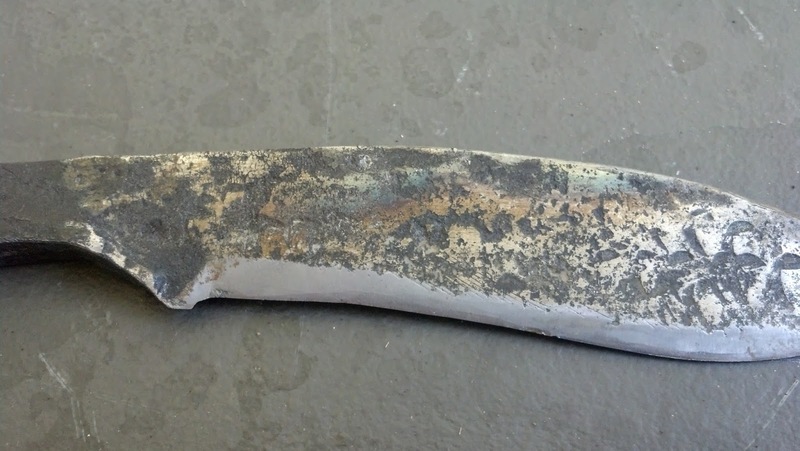 To make this part of the knife, the smith first shaped the blade and determined the length of the handle. He then heated the other end of the unfinished rebar to the proper color (a bright yellow), hammered it out, and curled it on the edge of the anvil. This was a process that took many heats, a great deal of time, and dozens of hammer beats. I’m not a knife guy. I don’t love knives, as such. But I do admire craftsmanship. 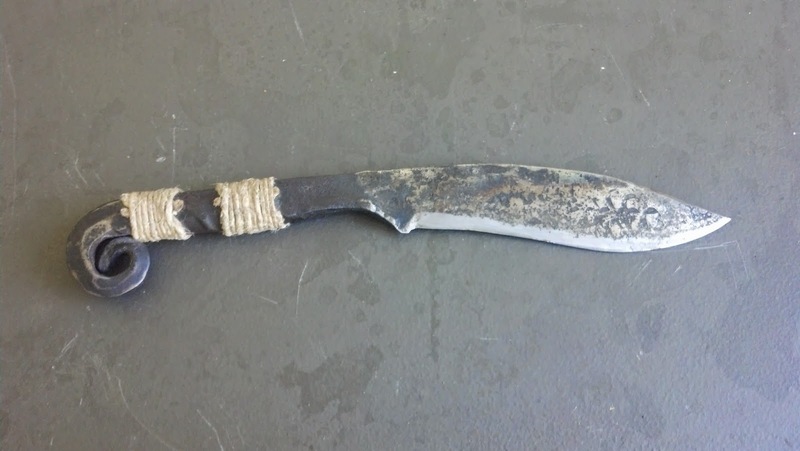 And despite its deliberate, inherent ugliness, the rebar knife is a thing of beauty. It’s the ultimate symbol of transformation. He shook his head. “Jesus. That’s fucked up.” His mouth opened to say something else, stayed that way for a few seconds, and then closed itself. My fingernails scraped along the seam in my skull, the rough line that separated opaque bone from translucent yellow crystal. “Just give me a second, okay? I’ve…I’ve got to get this out of my head. You can see that, can’t you?” I meant it literally: the dream had manifested itself as a black tumor, spreading hair-fine tendrils through the visible parts of my brain. As usual, Whole Foods was crowded. I’ve never been in one that wasn’t. 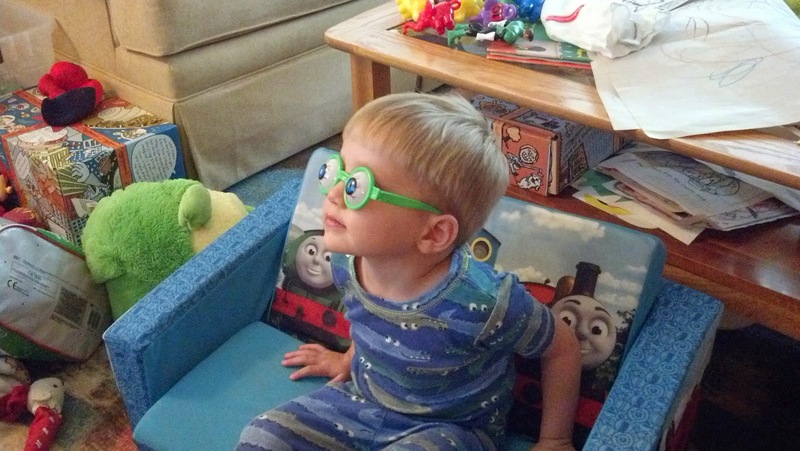 Our three-year-old son, sitting in the front of the cart, did his typical thing: asked a thousand questions, wanted everything that caught his eye, required attention as we browsed the aisles. Nothing new. Unfortunately, the store was woefully lacking in free samples of delectables like organic whole-grain free-range tortilla chips, organic brown rice syrup caramel popcorn, and Terra chips (also organic because, well, it’s Whole Foods), so he didn’t have the necessary distractions to keep him busy during shopping. Hence, the lure we’d used to keep him relatively patient turned out to be an empty promise. And I wasn’t about to take a box of Gorilla Munch cereal off the shelf and open it up for him to, uh, munch on. Even if it did have tasty bits of organic gorilla baked right in. That’s shoplifting. The cashier snickered, and I began to experience a vague sense of embarrassment as I became that parent: the one who can’t control his little barbarian. He’s usually very good, I swear, I said in the privacy of my mind. He never does this in public. Etc, etc. “I LIKE FLASH!” he informed her at top volume, grinning maniacally. I paid for our overpriced (but organically delicious) groceries, and we left the store. My son was pretty happy at that point, because he got exactly what he wanted: massive amounts of attention from everyone around. Most of it positive (though it doesn’t matter at that age: even negative attention is worth getting). At least he didn’t mention the color of his underwear, or the amount of body hair on his father’s stomach. That’s what being a parent is, I suppose: mild embarrassment, nonsensical shouting, and relief that whatever happened could have been worse. I’ve been rereading Frank Herbert’s Dune. I’ve read it several times since my teens, but this is the first reread in a decade. Now that I’m reading with both eyes open: one to be entertained and one to see what Herbert did and learn from it, I’m finding brand new things to like and dislike about the novel. Despite some flaws, it’s still captivating. 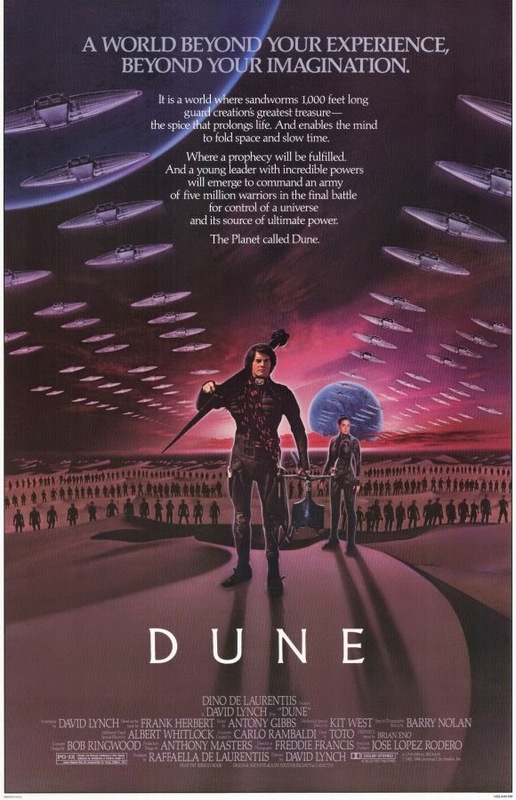 Like many, I came to Dune through David Lynch’s movie. Dune purists hated it. The critics thought it was laughable. It was overwrought, overacted, and, in the Alan Smithee extended version, way overlong. It’s colored my reading the book. I can’t help but read Paul’s dialogue in Kyle MacLachlan’s too-precise voice. Linda Hunt has become the Shadout Mapes for me. The late, great Robert Jordan was unfortunately miscast as Duncan Idaho, a small role in the film but a massive one in the books. 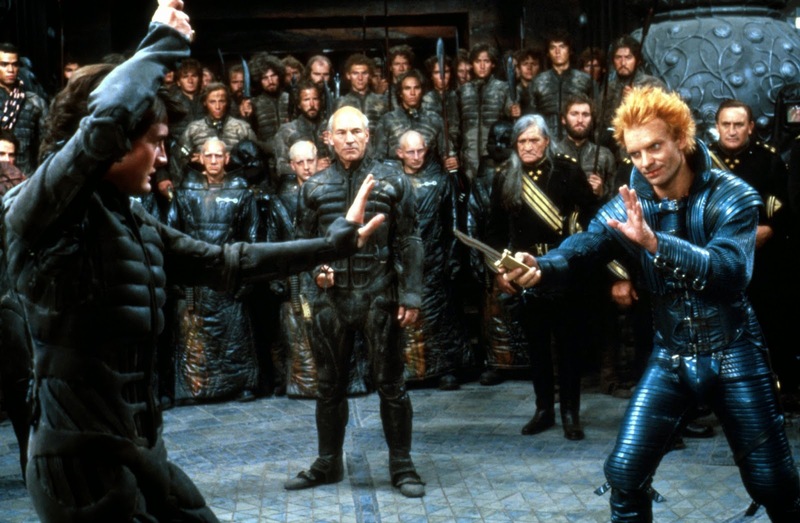 Can’t forget Sting as Feyd-Rautha (in later years, when my friends and I played Avalon Hill’s awesome Dune strategy board game, we’d always refer to him as “Lovely Feyd” in a breathy Kenneth McMillan voice). If I’d read the book first, I’d no doubt have a different opinion of both it and the film. Better or worse, I don’t know. The book was definitely better: a typical claim. Contrast that with Mario Puzo’s The Godfather. Same situation: I’d seen the movie first, then read the book. The difference here is that the movie was much, much better. It was tighter, more cohesive, more entertaining. The book had some weird subplots that included a mostly superfluous Johnny Fontaine and a young woman who needed an operation on her private parts, neither of which were connected. Characters came in and out with little rhyme or reason. It was a fun read, but didn’t do much for me. Our current media culture tells us that the book is no longer enough. If it’s popular, it needs a movie. Or a television series. Or a movie sequel. I don’t attach a value judgment to this: it is what it is. Before I became a dad, I went to see a lot of movies, and I still like to watch them when I have the time. What the media culture creates is a crossover effect for the book. The Dune phenomenon I mentioned earlier can’t be avoided. David Lynch’s bizarre vision of Frank Herbert’s universe has, in part, become my vision of it. I know I’m not alone in this. What’s seen can’t be unseen. Lynch has put himself into my copy of the book. The late Puzo and equally late Herbert aside, do the authors of these books know what’s been done to them in the minds of their readers? Translating them to a new medium doesn’t change the words printed on the page, but it does alter our perception of them. They no longer exist in discrete vacuums; one format informs and alters the other.